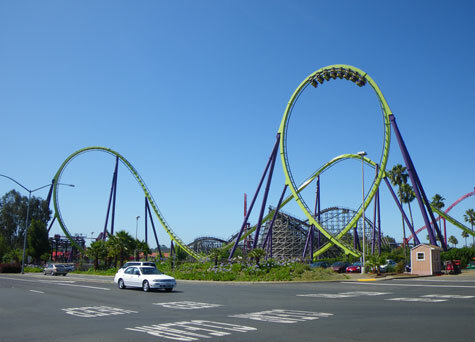 Six Flags Magic Mountain is a very popular theme park in Los Angeles CA. The park is best known for its large number of fear-provoking roller coasters. Visitors come from around the world to experience the thrill of riding the world's scariest best roller coasters. For the less brave, Magic Mountain also features many non-roller coaster rides and attractions. Six Flags Magic Mountain is situated in the Valencia area of greater Los Angeles CA.